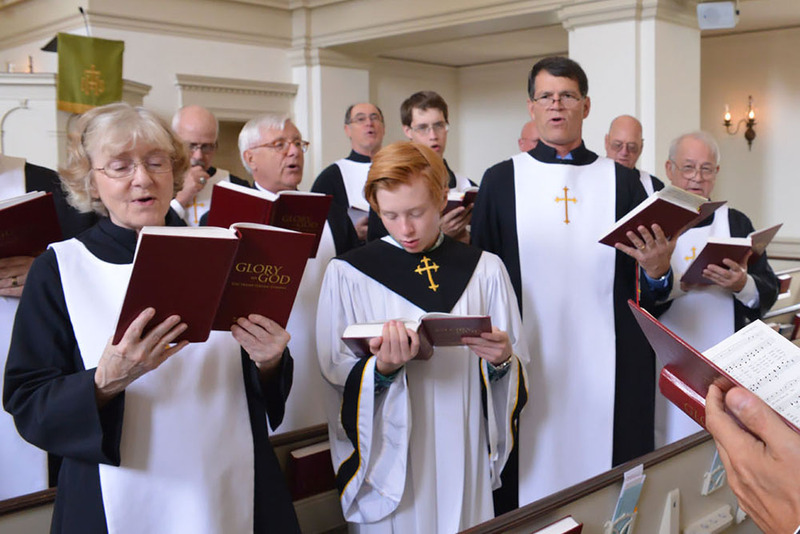 Music is integral to worship and fellowship at First Presbyterian. The sanctuary offers a beautiful Steinway piano in the chancel and a magnificent three-manual, 38 rank, Flentrop organ in the balcony to enrich the worship experience. On special occasions, members of the Charlotte symphony and other talented local performers augment worship by accompanying our choirs and congregational singing. From preschool to adult, all ages are welcomed and encouraged to participate in our choirs. The children and youth music programs are especially designed to teach music reading, team building, and self-confidence through engaging, age-appropriate anthems as well as through active and fun games that promote music readiness. The children and youth music programs begin in September and last through the first of May with a short hiatus after Christmas. These music programs serve, above all, to enhance worship, Christian education, and spirituality among our participants. 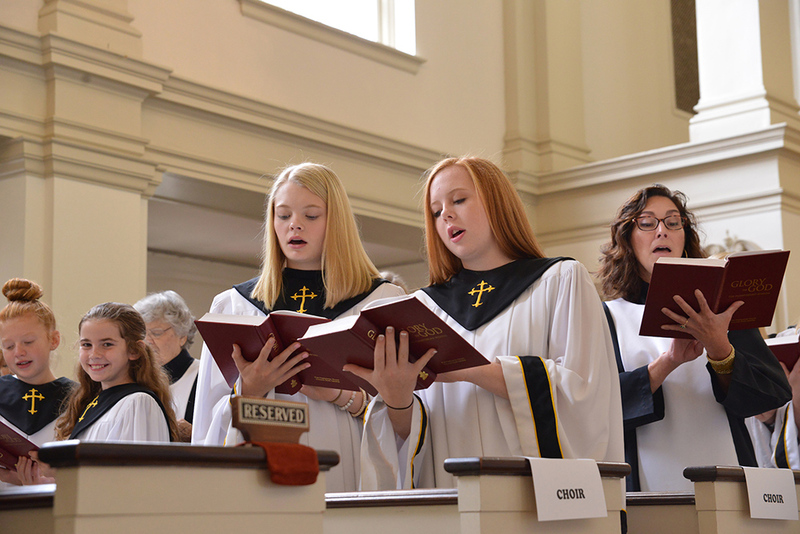 The Sanctuary Choir is the most active choir at First Presbyterian, singing weekly for the 11:00am worship service during the regular season (September-May) and for the single 10:00am worship service during the summer session (June-August). Consisting of adults and some high school students, the Sanctuary Choir meets weekly from 7:30pm-9:00pm on Wednesday evenings during the regular season and is all volunteer. Repertoire includes a wide variety of genres from the early music of the Renaissance to Contemporary. The Sanctuary Choir has also performed larger works such as Handel’s Messiah, Bach’s Christmas Oratorio, Vivaldi’s Gloria, Rutter’s Requiem and “Feel the Spirit”, and Brahm’s Requiem, and has performed at the Piccolo Spoleto Festival in Charleston, SC. 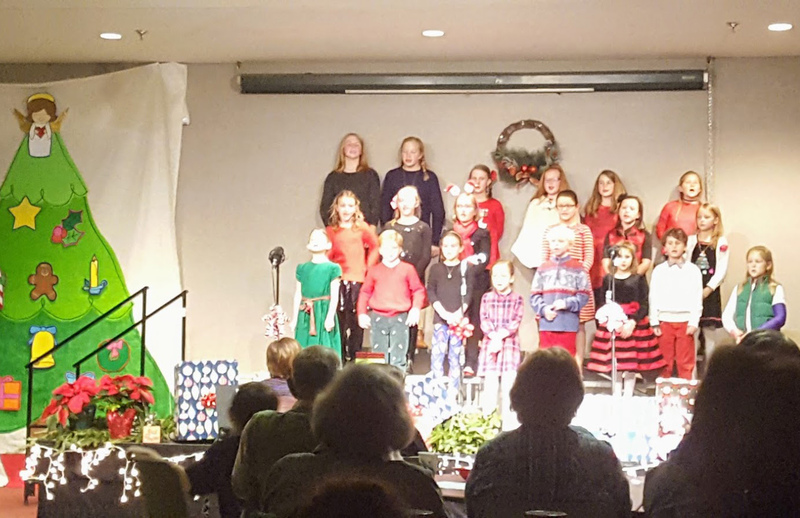 Under the direction of choir master Jeffrey Price and accompanied by director of music Jacqueline Yost, the Sanctuary Choir also performs two local, seasonal outreach concerts each year at the Taylor Glen retirement community in Concord, NC. The Youth Choir, under the sole direction of Jacqueline Yost, comprises middle school and high school students, meeting on Sunday afternoons in coordination with the youth fellowship program. On a typical Sunday evening, the middle school students in choir rehearse from 4:00pm-5:00pm and the high school students rehearse from 5:00pm-6:00pm. In addition to singing regularly in worship from September through May, the Youth Choir presents several special musical offerings for the annual Christmas Pageant, 5pm Christmas Eve service, Flowered Cross Easter service, and Youth Sunday held in the Spring. The Children’s Choir is open to children grades K-5 and rehearses on Sunday afternoons under the direction of Jennifer Preslar Newton, music associate, and Jacqueline Yost, director of music. Music reading and voice production are introduced through learning vibrant, age-appropriate anthems that embrace the warmth of God’s love, as well as teach bible stories and faith building. This choir sings approximately once a month in worship, participates in the Easter Flowered Cross service, and performs a Wednesday night dinner theater concert in December and April. The Children’s Choir meets from September through May.